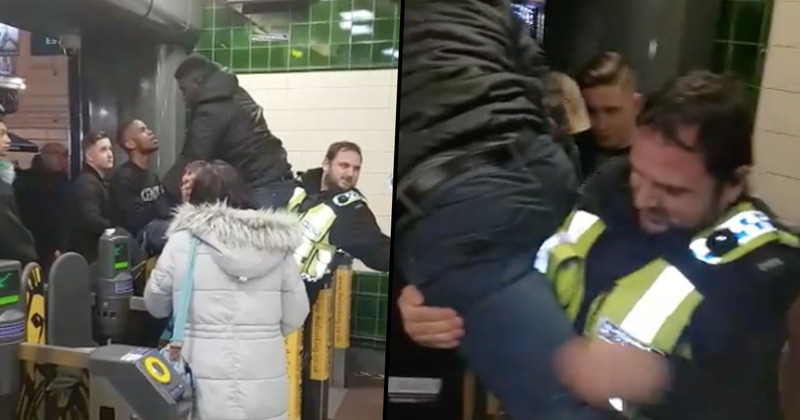 A man found himself in a pretty sticky situation when he tried to dodge the London Underground fare by jumping over the barriers. 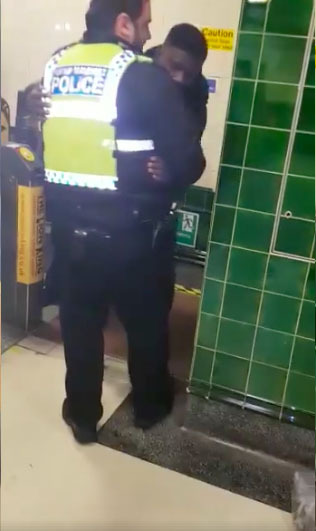 The unidentified man was captured on camera screaming in pain and creating a massive scene at Covent Garden station, after he trapped his manhood in the gates. You can hear the agony and regret in his voice as several people hold him up, trying to dislodge his manhood from the gates. This guy tried to jump the gates and got his manhood stuck ?? A witness filmed the whole ordeal on a mobile phone and lots of people can be heard laughing at the ridiculous situation. With each move he makes, the man screams louder and louder until someone is heard suggesting to use butter to free him. Get some butter! Butter him up! Butter him up! 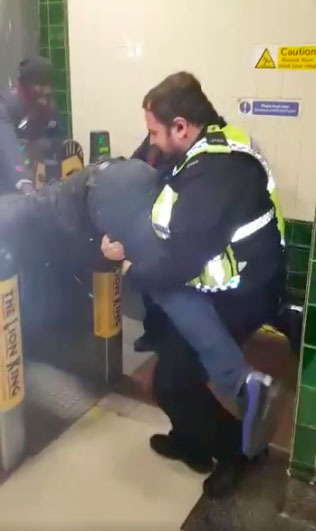 A member of the British Transport Police managed to get the fare dodger out of the predicament and lowered the man down. The unnamed gentleman was clearly very relieved to be back on the ground, he can be seen hugging and thanking the policeman and other people who helped free him. The video ends with, the police officer who rescued him, taking him to one side to ‘have a quiet word’. It’s not clear what happened to the man after his public and embarrassing ordeal, but the footage on Facebook has been shared nearly 2000 times. Despite trying to dodge his fare and thus commit a crime, the whole thing seemed to end in friendly spirits. I guess the situation had already gone south for the poor lad, no need to kick a man while he’s down. Hopefully he’ll just top up his Oyster next time!